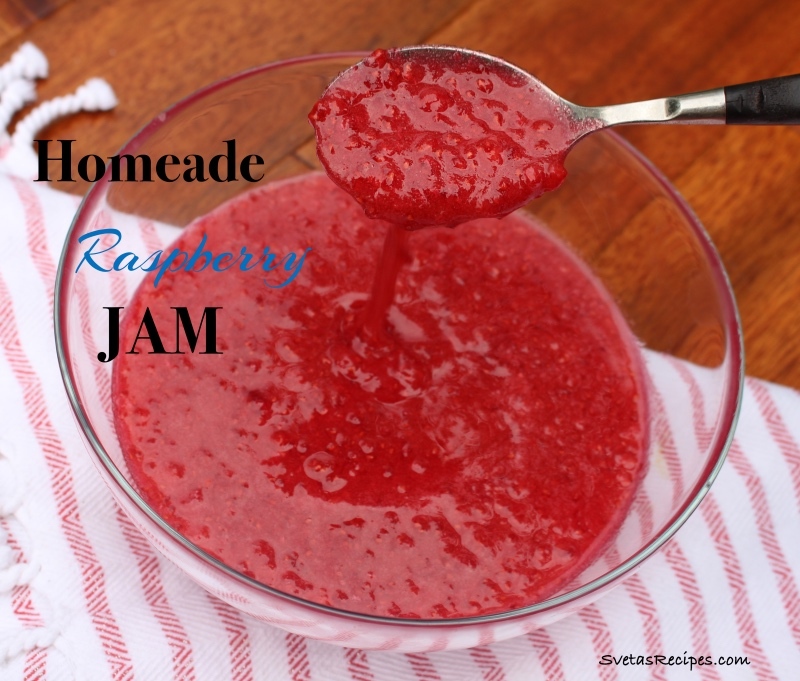 This easy recipe taste’s great since it is fresh and includes lots of vitamins. It will definitely last you a few months in a refrigerated area. 1.) 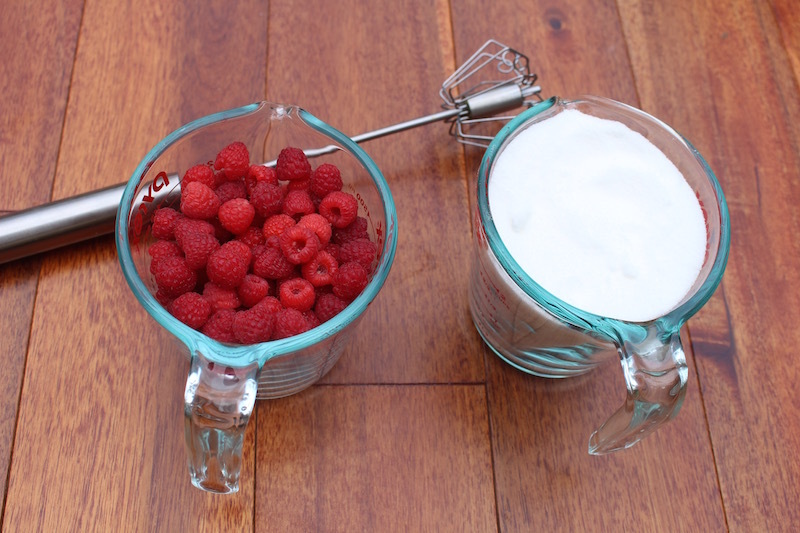 In a large bowl add your raspberries and sugar. Mix well with a mixer. Once mixed and packed well, place on a serving dish and enjoy! NOTE: If you’d like to save it for later place it in a jar and into a fridge. This easy recipe taste's great since it is fresh and includes lots of vitamins. It will definitely last you a few months in a refrigerated area. 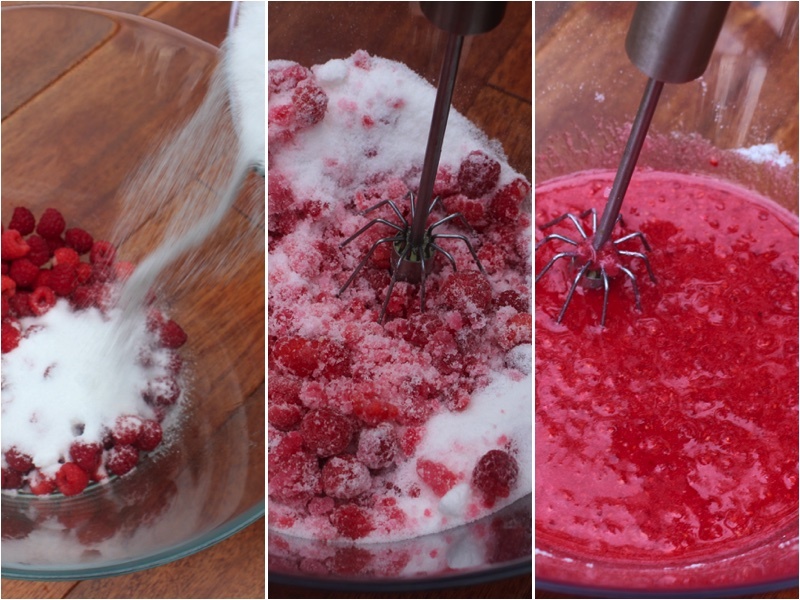 In a large bowl add your raspberries and sugar. Mix well with a mixer. Once mixed and packed well, place on a serving dish and enjoy! NOTE: If you'd like to save it for later place it in a jar and into a fridge.